SAN FELIPE, Baja California, Mexico – Looking to add to his record-setting class win total, SoCal’s veteran age-group motorcycle racer Jim O’Neal will lead 61 racers who have combined for 159 class wins among over 200 racers expected to start Saturday’s 31st SCORE San Felipe 250 desert race. O’Neal, 72, the noted apparel manufacturer from Simi Valley, Calif., has 16 class wins in San Felipe and will be the rider of record on a team in the Pro Moto Limited class in the season-opener of the internationally-televised four-race 2017 SCORE World Desert Championship. Entries to date from 25 U.S. States, host Mexico, Australia, Austria, Canada, Egypt, Germany and Guatemala are entered thus far. The event will be held Wednesday to Sunday in San Felipe, Baja California, Mexico, the quaint fishing village on the Sea of Cortez, 125 miles south of the U.S. Border at Calexico, Calif. 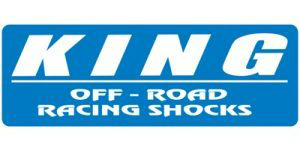 Entries are being accepted in classes for Pro and Sportsman cars, trucks, UTVs, motorcycles and quads. The start and finish line area will be on the malecon in the heart of San Felipe for the first time in the history of the SCORE San Felipe 250. Celebrating the 31st anniversary of the youngest of the three legendary SCORE Baja races, pre-race festivities for this popular ‘Spring Break’ race will be held in San Felipe Wednesday, Thursday and Friday with race day Saturday concluding with the post-race awards fiesta next Sunday morning on the Malecon. 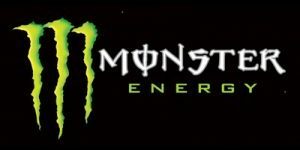 The Monster Energy SCORE Kickoff Welcome Party will be held from 6 p.m. to 11 p.m. PDT Thursday (March 30) at the Hotel El Cortez. The 2017 season also marks the golden 50th anniversary celebration of the legendary season-ending SCORE Baja 1000, the iconic Granddaddy of all Desert Races to be held in mid-November. The SCORE Baja 1000 is the oldest and longest continuously held desert race in the world. 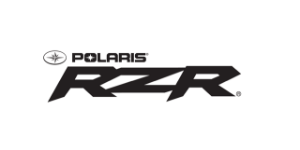 Racer registration will be held at the Hotel El Cortez from 4 p.m. to 8 p.m. (PDT) on Wednesday, from Noon to 8 p.m. (PDT) on Thursday and from 9 a.m. to 4 p.m. (PDT) on Friday. Media registration will be held at the Hotel El Cortez from 1 p.m. to 5 p.m. (PDT) on Thursday and from 9 a.m. to 4 p.m. (PDT) on Friday. The pre-race Manufacturer’s Midway, contingency and tech inspection of the vehicles in the race will be held on Friday. Contingency will run from 9 a.m. to 5 p.m. (PT) and tech/transponder check from 9 a.m. to 6 p.m. on the picturesque Malecon, flanked by the Sea of Cortez on one side and the popular restaurants and night clubs of San Felipe on the other. The field includes racers from last year’s overall motorcycle winner as well as the last seven overall 4-wheel vehicle winners in San Felipe. Also entered are 12 Pro class winners from last year’s race and 15 of the Pro class point champions from the 2016 SCORE World Desert Championship. Billy Wilson, Corpus Christi, Texas is the defending overall and SCORE Trophy Truck race winner and Mark Samuels, Yucca Valley, Calif., returns to defend the overall motorcycle title he and the now injured Colton Udall won last year. 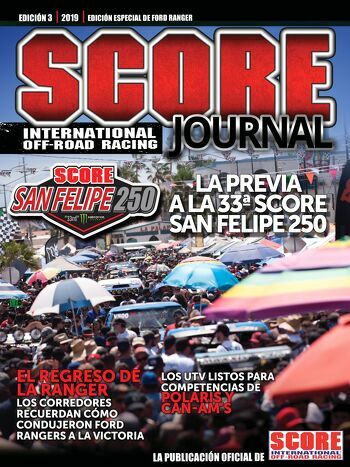 SCORE Trophy Trucks have won 20 overalls in San Felipe in the 23-year history of the class. Southern California’s Mark Post/Jerry Whelchel in 1997, San Diego’s son/father team of Andy and Scott McMillin (2005) and Armin Schwarz (Germany)/Martin Christensen (Denmark) (2010) have the only three Class 1 overall wins since SCORE created the featured SCORE Trophy Truck division in 1994. In the first 30 years of this race, Honda has earned 19 overall motorcycle victories (including 17 of the last 20 years), Kawasaki has seven, KTM has three and Husqvarna has one. Among the 24 entries to date in the marquee SCORE Trophy Truck division are eight racers who have combined to win the featured class in the SCORE San Felipe 250 a total of 13 out of 23 years the class has been offered included the last seven straight and eight of the last 10 San Felipe class winners. The eight drivers are Las Vegas’ Ed Herbst, Las Vegas’ Tim Herbst, Las Vegas’ Mark Post, Mexico’s Gus Vildosola Sr, Las Vegas’ Rob MacCachren, Jesse Jones of Phoenix, Mexico’s Gus Vildosola Jr and Texas’ Billy Wilson. Leading the way for the returning SCORE Trophy Truck race winners are Las Vegas brothers Ed Herbst/Tim Herbst who won in 1999, 2000 and 2001 when the raced as a team. This year Ed Herbst is racing with Las Vegas’ Mark Post who won SCORE Trophy Truck in 2004 with Jerry Whelchel and in 2007 with Las Vegas’ Rob MacCachren. Post and Ed Herbst have a third driver, four-time Lucas Oil stadium racing champion Kyle LeDuc. Tim Herbst is driving solo this year. MacCachren has won his class in this race four times (2003 with Gus Vildosola Sr, 2007 with Mark Post, and 2011, 2012 driving solo). Vildosola Sr has won twice (2003 with MacCachren and 2013 with Vildosola Jr) and Vildosola Jr has won SCORE Trophy Truck three times in San Felipe (2013 with his father and solo in 2014 and 2015). Jones won in 2010 and Billy Wilson won SCORE Trophy last year in this race. Out to defeat the elite eight former race winners, the other challengers in SCORE Trophy Truck will be led by Mexico’s two-time defending season point champion Carlos ‘Apdaly’ Lopez. Also among the key challengers will be four-time SCORE World Desert Championship winner B.J. Baldwin of Las Vegas. Joining that short list will be World Rally Championship veteran Armin Schwarz of Germany, San Diego’s Luke McMillin and his brother Dan McMillin racing in separate trucks, RPM Racing’s Justin Matney of Bristol, Va., Mexico’s Juan C. Lopez, veteran desert racer and TV action sports announcer Cameron Steele, former Sports Car Racing champion Larry Connor of Miamisburg, Ohio and veteran desert racer Robbie Pierce of Santee, Calif. Leading the gregarious group of 36 racers with at least two class wins in this race entered this year are Jim O’Neal (Pro Moto Limited) with a SCORE race-high16 class wins (age group motorcycle) wins–all in the last 16 years, and Eric Solorzano with 10 Class 11 wins in this San Felipe race. Rob MacCachren has eight class wins (SCORE Trophy Truck), Adam Pfankuch has seven class wins (Class 10) and Gus Vildosola Jr has five wins (SCORE Trophy Truck). With four class wins each in San Felipe are Chad Broughton (Trophy Truck Spec), Tim Herbst (SCORE Trophy Truck), Ed Herbst (SCORE Trophy Truck), Donald Lewis (Pro Moto 60), Ricardo Malo (Class 1), Wayne Matlock (Pro UTV FI), Cody Robinson (Class 1/2-1600), Roberto Romo (Class 1/2-1600) and Francisco Septien (Pro Moto Unlimited). O’Neal has raced in all 30 previous SCORE San Felipe 250 races and he has a SCORE-record 16 career season class point titles, including last season in Pro Moto 50 as a co-rider on the over-50 years-old motorcycle team led by Mark Winkelman. To date, the featured SCORE Trophy Truck division has the most entries with 24 followed by Trophy Truck Spec with 17 entries, Class 10 with 15 entries, unlimited Class 1 and Pro UTV FI with 14 each and SCORE Lites with 12. Leading the motorcycle entries so far is Pro Moto Unlimited with seven entries. For the first time in the history of this race, SCORE will hold a qualifying session on Thursday, March 30 to determine the starting positions within each class for the SCORE Trophy Truck/Trophy Truck Legend, Class 1 and Trophy Truck Spec classes. Qualifying first in the marquee SCORE Trophy Truck division for high-tech, 850-horsepower, unlimited production trucks will be veteran racer/chassis builder Damen Jefferies, Yucca Valley, Calif. Drawing the first qualifying position in the unlimited Class 1 was veteran SCORE female champion racer Shelby Reid, Apple Valley, Calif., whose son Cody Reid is a champion racer in Class 10. First to make a qualifying run in Trophy Truck Spec will be Las Vegas’ Bill McBeath, a prominent casino executive and former SCORE Trophy Truck racer. While qualifying is optional, 44 of the 58 total entries in the three classes, including 23 of 24 in SCORE Trophy Truck, have committed to qualify for their starting positions. The non-qualifiers in each class will start after all the qualifiers in their respective classes in the order they were drawn in the start drawn held on March 16 for all of the remaining classes. SCORE President Roger Norman and SCORE Race Director Jose A. Grijalva have worked with the government officials and ejidos of the Mexicali and San Felipe areas to develop a memorable SCORE San Felipe 250 race course of 271.9 miles. SCORE has introduced a new class starting with this race called Trophy Truck Legend. The new class will use the same rules as the marquee SCORE Trophy Truck division with the exception that all drivers in each vehicle in Trophy Truck Legend must be at least 50 years old. SCORE has long had popular age group motorcycle classes for riders over 30, 40, 50 and 60 years old and over but this is the first class SCORE has developed for four-wheel vehicles. For over three decades, the annual motorsports festival that has brought the largest economic impact of any single event held annually in this lightly-populated portion of the ruggedly rough and bountifully beautiful Baja peninsula has been the SCORE San Felipe 250.